The quick turnaround from week 27’s Saturday and Sunday slate week 28’s Tuesday and Wednesday matches means that most teams did not get much of a rest. With the teams involved in European play having also spent the previous Tuesday, Wednesday, or Thursday playing matches there are some with even less rest. Leicester City v West Brom is shaping to be an interesting match after the Baggies broke with their most recent form and actually score three goals against Crystal Palace to give them back to back wins. I bring this up simply because it makes them a more interesting opponent for the Foxes than I would have predicted this time last week, particularly after it took a last gasp goal for Leicester to squeak past struggling Norwich. An Everton stack for Tuesday is looking like fantasy gold at this point. Not only has Aston Villa continued to look terrible, but Everton have had a nice long extended rest to prepare for their trip to Birmingham. Sunderland v Crystal Palace brings some intriguing prospects. Sunderland have been playing much better than Crystal Palace lately, yet the Eagles staged a rather impressive second half comeback in their 3-2 loss to West Brom. With players like Khazri, M’villa, and van Aanholt playing well lately, they are a decent differentials in a match that should have plenty of goals in it. While Sunderland are in the relegation zone, Crystal Palace are rapidly headed that way with one point from their last six leaving them second from bottom in the form table. At the bottom of the form table is Norwich City having allowed 16 goals in their last six matches. Chelsea are strong favorites to pick up their third consecutive win and picking Chelsea players in your FPL team is a thing again with Diego Costa, Willian, Ivanovic, and Fabregas all picking up points in week 27. 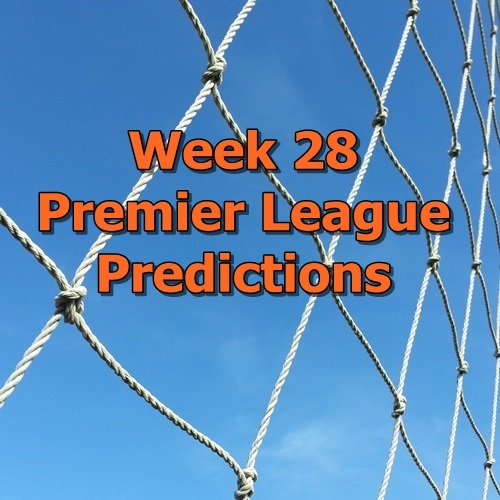 If you are looking for more information to prepare for week 28 and week 29 FPL tips you can check out my work doing FPL rankings for Togga. Hopefully I will also be able to get in some week 29 FPL tips before the weekend as well. Good luck and have fun!